We’ve seen, heard, and read stories that interpret L. Frank Baum’s Oz in every way imaginable. Well, almost every way. 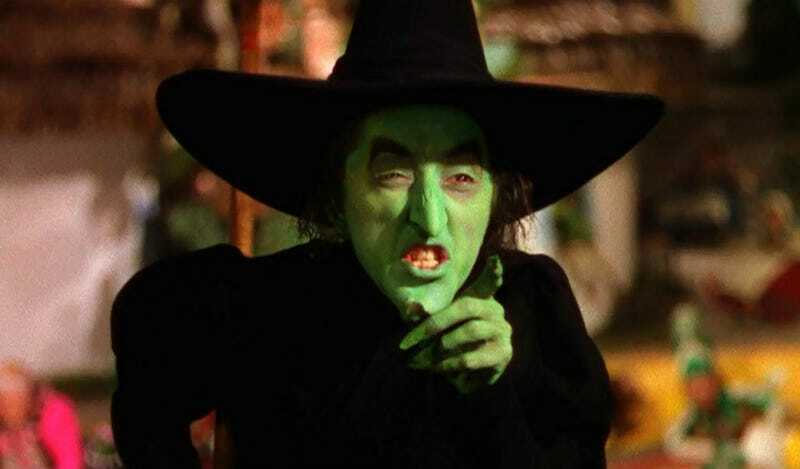 New Line Cinema just bought a film pitch that sets a horror story in the world of The Wizard of Oz. The pitch was by screenwriter Mike Van Waes, according to the Hollywood Reporter, which broke the story. There were no details beyond “an original horror film set in the world of The Wizard of Oz” but that certainly flips the imagination on, doesn’t it? Is it a film about a gaggle of killer flying monkeys? A witch who can’t be stopped and stalks her victims on a broomstick? A wizard who lures young Kansas women into his lair, only to brutally murder them? A lion who at first appears cowardly, but then rips people to shreds? A scarecrow who seems stupid, but really just lights on fire, burning people? A Tin Man who collects hearts? Hopefully, none of those things. When and if we hear more about this idea, we’ll let you know.